When it comes to finding information to compare brands and products while in the store, 67% of men and 54% of women said they would reach for their mobile phone before asking a salesperson for help. Sixty-six percent of men and 59% of women would check reviews, and 53% and 38%, respectively, would check prices at other locations, according to a survey analyzing mobile phone behavioral patterns in stores of consumers in retail stores. The InsightExpress study, "Mobile Consumer Research: 3Q 2011 Digital Consumer Portrait," finds consumers increasingly use their smartphone while shopping in a physical store to check prices, find deals, and locate out-of-stock items at other locations. About 1,300 U.S. consumers participated in the online survey. Retailers that are not connecting with consumers this holiday season could leave millions on the table, according to Joy Liuzzo, vice president, director, mobile research at InsightExpress. Men are more likely to use their phones to look up information while in a grocery store, 68%; restaurant, 62%; electronics store, 57%; or hardware store, 43%. Half of all consumers who participated in the survey intend to purchase more than $300 on holiday gifts, and 46% said they will use their phone to shop throughout the holiday season. More consumers have begun to rely on their smartphones while in retail stores. When asked what they expect to do on the mobile phone while in the store this holiday season: 33% said take pictures; 32% search for better prices; 27% search for reviews; 26% scan a barcode; 23% use a coupon or look for a coupons; 20% use the store application; and 11% pay for a purchase at the register. When searching on a smartphone browser, 69% of females and 65% of males said they would visit both the retailer's Web site and third-party site to find information. 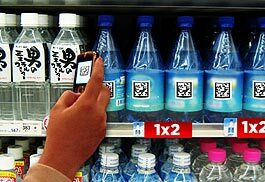 If the store is sold out of the product, 27% said they would use their mobile phone to find another store nearby with the item in stock. Eight percent would use the phone to purchase the item from an online site, 14% would wait until they found a desktop computer to search for another store, and 20% would wait until getting in front of a computer to make the purchase. Still, 54% of smartphone users think mobile phones still have security issues. 28% can't see what they buy, 26% point to slow Internet connections, 24% said there isn't enough information on the page; and 8% view it as a painful experience. Similarly, 33% of tablet users don't trust the secure connections, 17% can't see enough information on the page, 9% point to slow Internet connections, 9% can't see what they buy, and 4% think the experience is painful. 1 comment about "Study Analyzes Mobile Search, Buying Behavior In Retail ". Sam Varney from IDEA Pharma, November 15, 2011 at 5:43 a.m. Please check out our interview with Philip Graves the author of Consumer.ology in which he backs up his belief that Market Research is flawed.